Before picking mutual fund schemes, investors should try to learn a few basic rules. Learn more to get the best returns through your mutual fund investments from India Infoline. 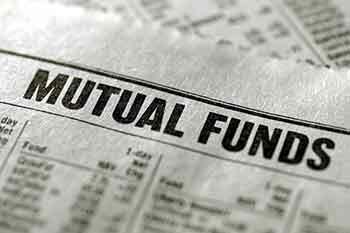 Mutual funds are subject to market risks but how much and for how long? The answer to this question depends on the fund you choose and the purpose of it. Mutual funds do have risks but not necessary that always lead to losses. If you choose the right fund, you are more likely to profit much more than your anticipated losses. It might even surpass the amount invested by a great deal. There’s an objective that every mutual fund, without exceptions, follow. This helps them to determine and invest in various asset classes that would help meet the objectives. Check if the fund’s objective and yours align so that your goals are also fulfilled. Choosing a fund with similar objective makes your investment reach its goal faster and better. As for the style, you can choose from large cap, mid cap, small or micro-cap, multi-capandflexi cap funds. These are market capitalizations though which you can structure your portfolio better. You must also assess the fund’s management style to know how well it would be able to handle your money. The performance needs to be considered because it gives you an idea of how it has handled money in the past over a period of time. Ensure that you measure the performance over a significantly long period so that you know the pattern and can make a good judgment. You may want to look into what kind of risks the fund has exposed you to over a period of time. Also, check if there was any clogging of risk-adjusted returns. Review the various portfolio that was held by them and how often was it churned. This should give you the entire snapshot of the fund’s performance. This plays a significant role in generating returns. How? A fund managerhas to keep moving the capital in the direction where themarket seems promising. This requires expertise and experience. Besides their tenure also help you determine how reliable they are. The fund performance is largely impacted by the fund manager’s expertise and tenure and thus, it becomes crucial to be sure who you are entrusting your hard-earned money to. This is usually considered when you invest in anequity fund. The higher the expense ratio, the more it affects you directly. It comprises of the brokerage fees and other costs that the mutual fund houses charge from investors. Hence, you need to see if the charges are not over the top. However, there are funds that charge high but make it up by offering a higher NAV or better returns. So consider these also while checking the expense ratio. Exit load is another cost that you directly incur. It is a fraction of the NAV that you receive and thus, leaves a hole in your investment value. So, the lower exit load a fund offers, the better is it for you. Having said that, it only comes into play if you wish to sell your units. It is always beneficial that you stay invested for a long term to reap good returns from any mutual fund. Investing is not something that you can do as a side job. You need to be active and alert if you wish to make money even in mutual funds. Use the above-mentioned factors as a checklist for next time you choose a mutual fund to invest in. Happy investing.